Our unique medium-dark roast blend of Africa’s and Indonesia’s finest. Bold and Fragrant! Picture yourself, a quaint hide-away in the Carolina Mountains, enjoying a breath-taking sunset over Grandfather Mountain, while hearing echoes of tranquil waterfalls just beyond your imagination! A steaming hot cup of our Black Mountain Blend, the perfect complement to nature’s finest. 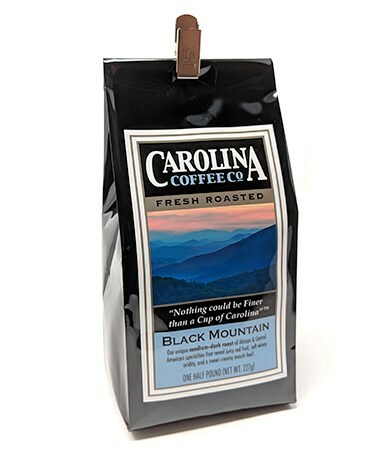 We were given a bag while in NC by realtor and loved the coffee.